Sometimes when I listen to a song or read a script, I have an instant impulse to create something for it. Broken Record by Sophi Alvarez, whose stage name is Saint Victoria, is a perfect example of this; I wanted to bring to life the visuals to accompany her powerful song. When I approached Sophi about directing a music video for Broken Record, she very generously expressed an open mind to a collaboration. Listening to her song the first time brought a flood of images and words to mind: repetition, decay, lifelessness, and the ritual of the mundane. The list goes on. Although an exact story arc did not form in my mind instantly, these bubbles of words that kept popping into my head were enough for me to start brainstorming. The piece had a sense of helpless melancholy and an aching for escape, mixed with the numbed raw pain of an open wound. It was this combination of feelings that I strove to convey visually. Personally, I love being given the chance to think creatively and freely. When tasked with creating material, I try to think of ways in which I can utilize the visuals and sound to create the appropriate emotional impact on the viewer. In this case, the music element was already there, so what I wanted was to use movement and color to help visually carry the emotions of the music even further. Using body movement to express emotion has an indescribable effect on me, so my first creative decision was that I wanted dance to play a significant role in the piece. Dance is an art form I truly appreciate, respect, and am moved by, because it visually translates feelings. It was in this effort that I connected with the Dancer and Choreographer: Chad Vaught. While watching a few of his previous dance works online, I muted the sound and played Sophi’s song and instantly knew that his body language was a perfect fit. With Chad onboard, the cast was good to go. In the meantime, we were also gradually building our crew. During the start of the process, Producer Kazuki Akiba played a large role in organizing and reaching out to potential crew members. Kazuki was our scheduling mastermind, ensuring that everything fell into place in time to meet our deadline. Thanks to his consistent back-and-forths, in less than two weeks we had our cast, crew, and all other aspects of production set. The aesthetics of the piece were inspired by screenshots of movies that had played around with color, such as Birdman. 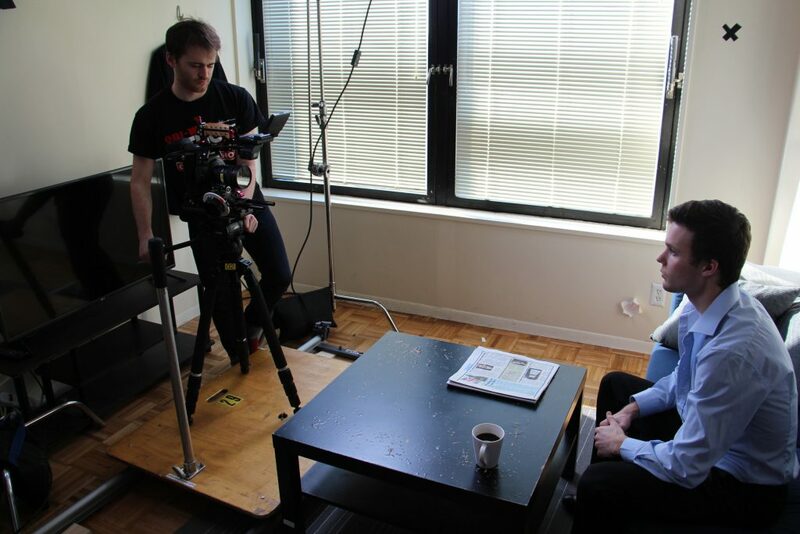 As the Director of Photography on the project, Daniel Lazar was an incredible talent to work with. Describing my ideas to him was seamless because we easily understood each other. He generated a wealth of great on-the-spot ideas, catered perfectly to the vision, and transformed my words into beautiful visuals. The entire shoot was spread over two days. All the apartment scenes were filmed on the first shoot date and all the green screen scenes were shot on the second. In fact, everyone’s schedules were so tight, that Lily Li, the Special Effects (SFX) Makeup Artist, had to paint the bloodstained scars on Chad the night before the second shoot day (thank you Chad for kindly agreeing to sleep with them on!). I wasn’t initially planning on creating a music video with Visual Effects (VFX) as I had never worked with them before. But through a recommendation from our Editor Sylvan Gu, I met the wonderful Spencer Griswold, who was responsible for everything VFX-related on the project. Maxwell Roberts-Pereira, the Colorist, added the final touches, which made the picture truly pop. During the post production process, communication and patience were key. There were numerous discussions and experimentations between the three of us, often editing through the night and into the next morning. One of the beauties of art and music is that, as art forms, they are subjective and open to interpretation. Sophi said she had her own story when writing the lyrics, and when I heard the song I saw a different scenario. Although the two differed, they shared similar feelings, which is what I ultimately want to share through the piece—its emotions. I would encourage everyone to watch the music video with an open mind and engage closely with the lyrics—see how the visuals affect you and what words come to mind from your own experiences. Top Photo: Daniel Lazar filming Chad Vaught. 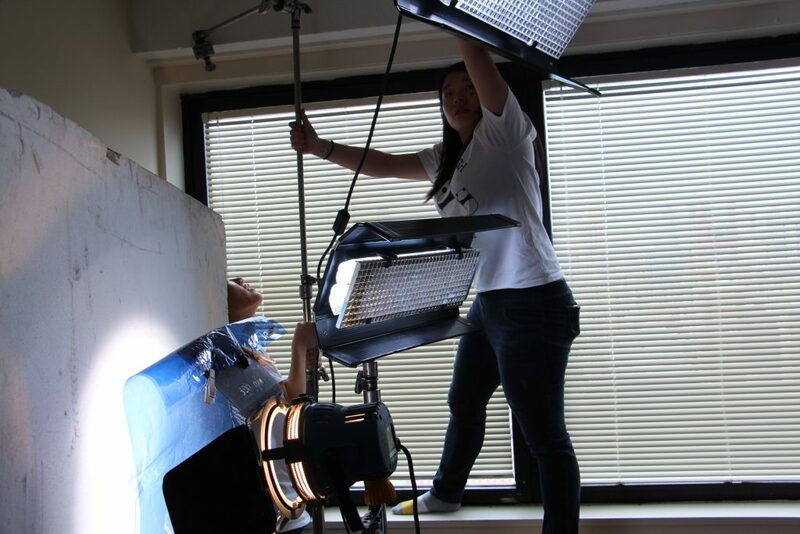 Second Photo: Jenny Chan and Kadi Tsang adjusting the light. 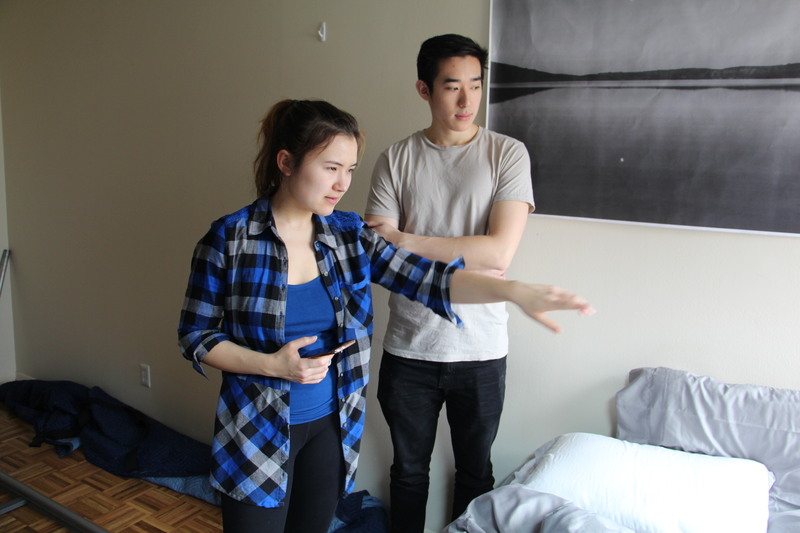 Third Photo: Katusha Jin and Sylvan Gu looking at framing. 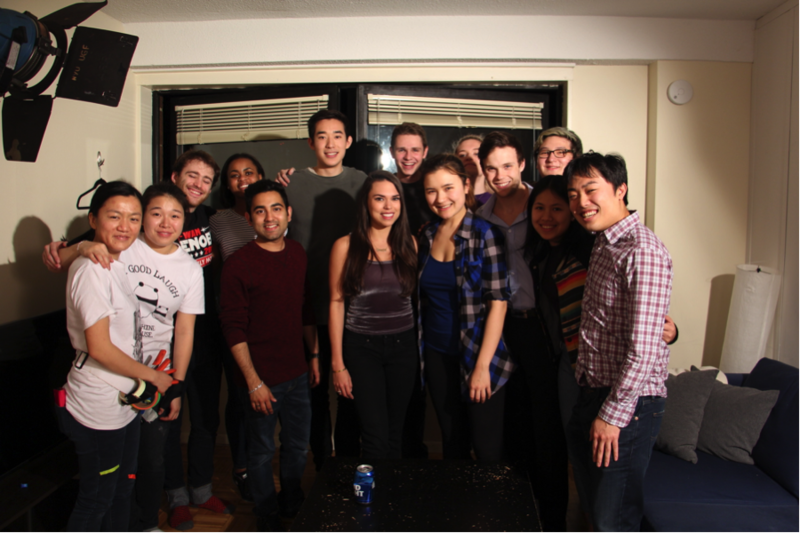 Bottom Photo: Most of the Cast and Crew for Broken Record.